Another day, another rumor and leak about the upcoming iPhone 6 from Apple, the leaks we have today includes images of production tools from two different sources suggesting that Cupertino company is indeed working on larger iPhones. 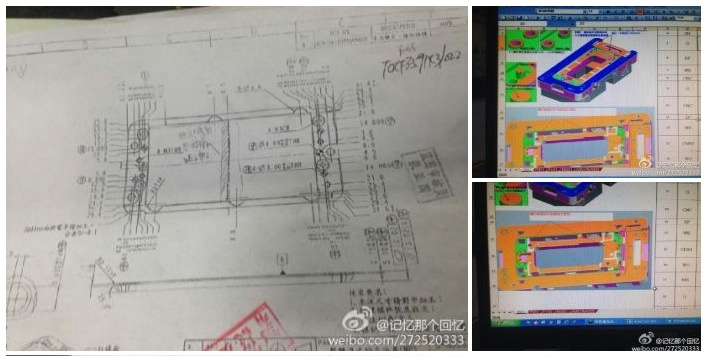 First up, yesterday, a set of images from a Weibo user claims to show the new production schematics and die for manufacturing the iPhone 6 inside a Foxconn factory. 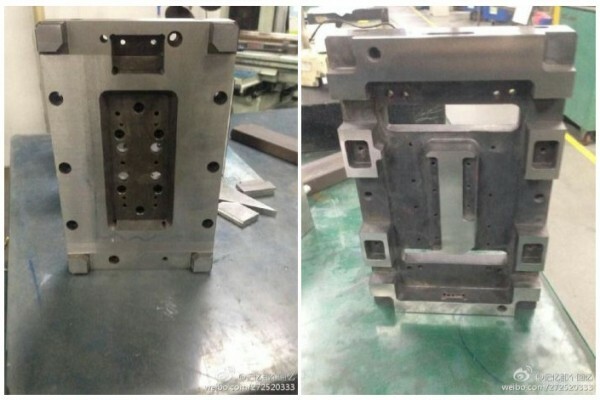 The images was shared by GforGames, showing some technical design documents written in Chinese, along with some more pictures of molds of what is said to be the larger iPhone 6. The next generation iPhone is reported to come in two sizes – 4.7” and 5.5” but rumors has it that the larger model will be delayed until later this year due to some production difficulties, so the pictures we see above could very well for the 4.7” version, which has been reported that it will go into production this month. 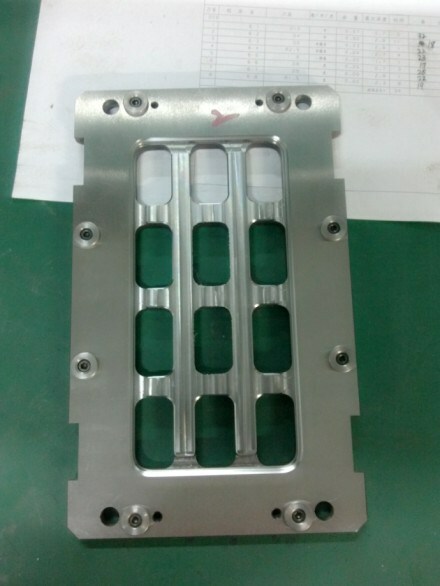 Next up, Nowhereelse.fr also recently shared an image of what looks like the mold of the iPhone 6. 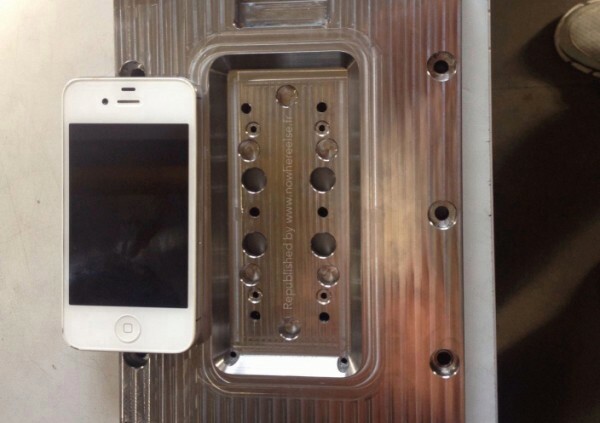 The picture shows off the mold next to an iPhone 4S, and is noticeably larger than the 4S. 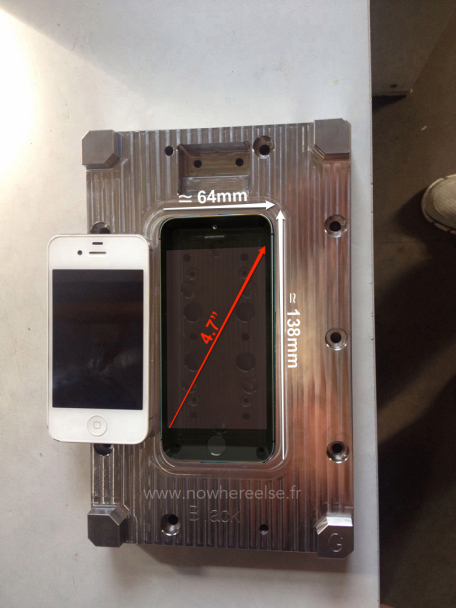 Nowhereelse.fr photoshopped an iPhone 5S into the picture to see how big the mold really is and using this method, he guess that the screen size fits the 4.7” rumors that we’ve been reading about since day one. This means that the mold could be used in the production of current iPhones, so take the leaks with a pinch of salt. With the 4.7” size being a consistent report throughout all the rumors we’ve been seeing so far, are you excited to finally be able to see a larger iPhone 6?